Thanks to Vin Miles for sending this postcard which was published by local firm Wakefield. It is an unusual view taken from the back of Wakefield's, the photographer and postcard publisher, at 137 High Street, looking westwards. 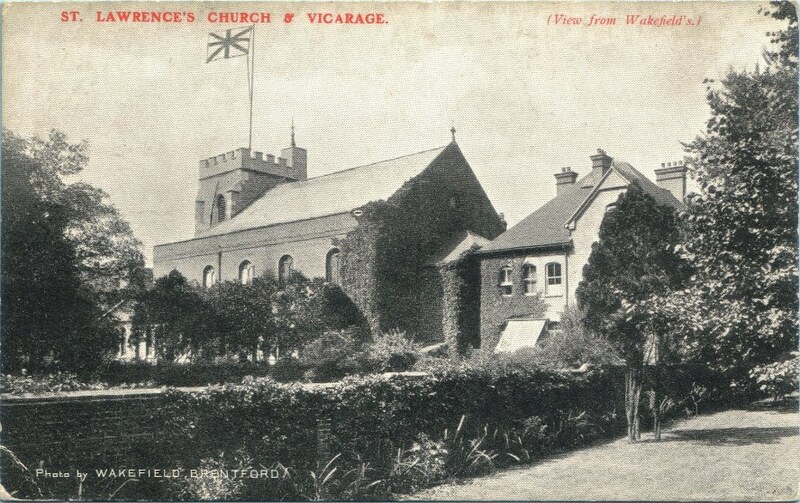 The vicarage and its garden and the south side of St Lawrence's can be made out. A rather large flag has been added to the church by hand. Perhaps the view was taken during WW1? The card has not been posted, but on the back, very faintly written, is Nancy with love Nin.